Over the past several weeks I’ve dabbled in a free to play MMOG other than EVE, Forge of Empires, a browser based Eurocentric historical progression city management game with dash of PvP produced by InnoGames out of Germany. EVE, being a patient mistress, didn’t mind delivering a knowing “Give her a go, I’ll be here when you return” wink. Accordingly, I haven’t rushed things, instead logging into either game only as desire dictated. 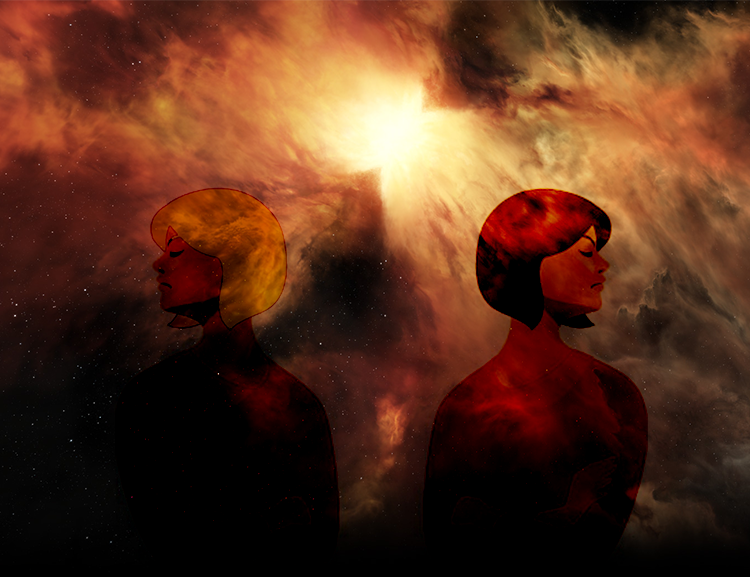 Initially, the appeal of novel won out and I found myself logging into FOE first, but over time old passions reasserted themselves and increasingly I’ve found myself logging into EVE first. Being obnoxiously self-reflective, this dalliance has me pondering what generates EVE’s long term appeal. Time for a little compare and contrast, but first a caveat. Though a long term EVE player, I remain obstinately niche in that game. At the same time, I’ve only played FOE for month or so, meaning this piece won’t be a thorough review of either game but rather a meditation on my experience with their Dire niche differences. Additionally, much like my time in EVE, I’m a solish FOE player so robust FOE Guild vs Guild remains outside my experience. Finally, please be aware that as I’ll primarily be big picture musing, those in the know may observe a blithe disregard towards an undoubtedly numerous number of minute pedantic exceptions to my observations. Bludgeon me in the comments with them if you wish. Forge of Empires keeps score. Each player (and guild) is assigned a score and rank based on buildings constructed, economic activity and battles won and those scores and ranks are proudly displayed for all to see. As one might expect, Inno’s automated game score algorithms tend to spur all its players towards similar efficient paths meaning googling info on how to thrive in FOE yields numerous tips towards increasing your score and bumping your rank. 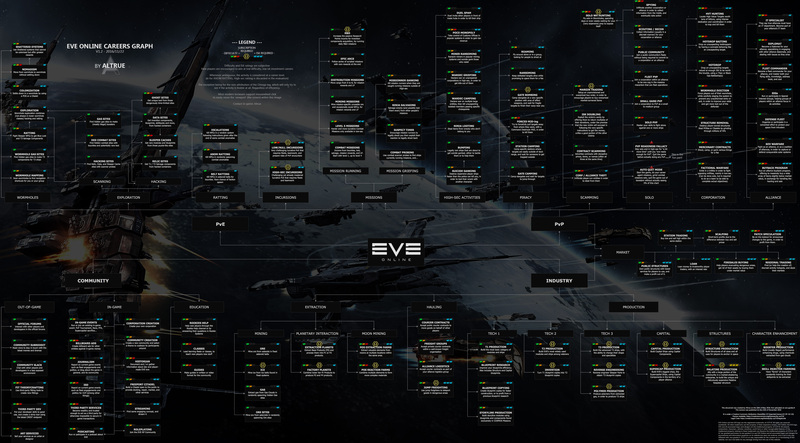 Meanwhile CCP’s EVE with its vaunted player produced ‘What to do in EVE’ career chart does no such thing. Over the short term I’ve found Inno’s ‘Here, assemble my puzzle’ approach pleasant. Over the long term I’ve found CCP’s ‘Don’t ask me, follow your own muse’ approach enduringly beguiling. If FOE has a robust counterpart to EVE’s proud “Playing the Wrong Way” contingent, I’ve not found it. Like many games, Inno’s Forge of Empires has a tech tree one climbs to enable construction and use of better quality, more powerful buildings and combat units. EVE’s skill queue is CCP’s counterpart to this common mechanic though, rather than merely hiking up the power, EVE’s queue also (mostly?) opens up alternate gameplay opportunities. In this sense, the two mechanics are not apples to apples comparisons though the accumulation method underlying the two games’ progression mechanics are strikingly similar. In FOE you passively accumulate one Forge Point per hour to expend on tech improvements. In EVE you passively accumulate skill points as mapped out on your queue. EVE, being a considerate mistress, lets you plan out your Omega queue near a long as you wish and your Alpha queue for three or four days if you’re clever. FOE, being a demanding mistress, lets you accumulate 10 forge points before capping the bucket, meaning FOE makes you sign on at least three times a day if you don’t want precious Forge Points spilling all over the floor. I complained to EVE about it during one of my sporadic mid dalliance EVE sign ons and she clucked in agreement that such heavy-handed “You must log in multiple times, every day” was most unseemly. Truth be told, FOE’s Forge Point “Mistress now schedules your life” impositions were not her most egregious irritation. No, that honor goes to FOE’s Treasure Hunt that presents you with increasingly valuable chests to open at increasingly distant windows. Chest 1) 5 minute wait, Chest 2) 15 minute wait, Chest 3) 1 hour wait, Chest 4) 4 hour wait, Chest 5) also a 4 hour wait and Chest 6) an 8 hour wait. As chest 5 and 6 are helpfully valuable, missing a prior window hurts since missed windows reset the Treasure Hunt to the original, not terribly valuable 5 minute chest. FOE explained that she generously gives a full hour after each countdown to open the next chest before resetting the entire hunt plus an entire 4 hours on the 5th chest while the 6th chest’s timing doesn’t particularly matter since it’s the last chest in the sequence and opening it returns you to the beginning just like a missed window reset would. “You’re going to leave me without engaging in a single microtransaction,” stammers FOE. 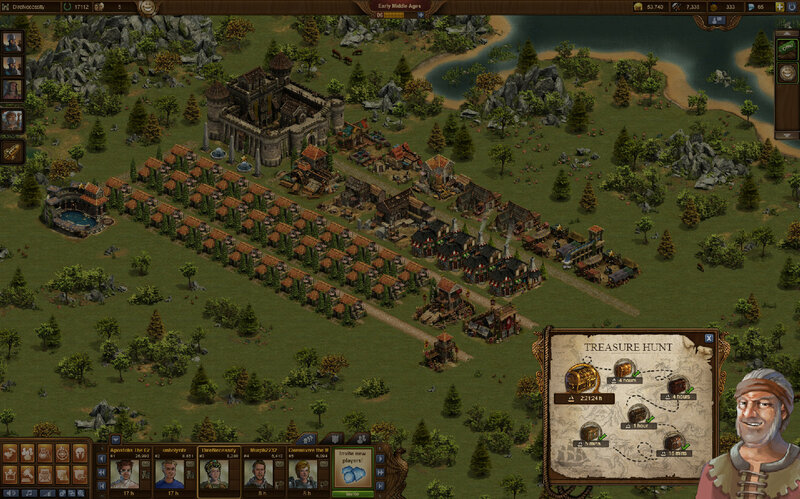 As of this writing, Forge of Empires is split up into 25 different national language servers. The US server I play on has over 450,000 active players split into 22 different worlds. My world contains some 19,000 active players. Access to each world is channeled through three ‘acquaintance circles’. There can be up to 80 players in your neighborhood circle. You can have up to 80 friends in your friendship circle while guilds, should you join one, also max out at 80 players. All totaled that 240 different people you can interact with at any one time though it’s usually much less since it’s rare to have any of the circles completely filled and any particular player can simultaneously be a friend, share a guild, and inhabit your neighborhood thereby gobbling up three slots. “240 max?” asks EVE in horror. “Is it true that all of FOE is two dimensional space?” asks EVE. “When there are dimensions, yes it’s all plain surface two dimensions,” I reply. “When there are dimensions?” queries EVE. “How are forces marshaled?” probes EVE. “I suppose that’s something,” EVE comments. “It’s something alright,” I reply. “If it’s always you versus a computer it doesn’t sound very PvPish,” EVE says skeptically. “Are you going soft on me Dire?” asks EVE crinkling her lips in disdain. “I should hope not,” says EVE. “You just gasped!” exclaims EVE. 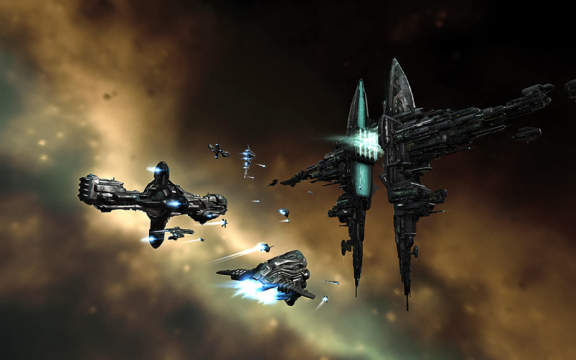 “I’ll bet FOE doesn’t generate fansites like Eve Online Pictures,” EVE elaborates impishly. “I’ll bet you’re right,” I reply. “Get the shakes?” EVE needles. “Are you going to introduce me to this the Forge of Empires mistress of yours?” EVE asks. “You’ll just murder her,” I reply. In the distance, FOE’s face blanches. “You’re not being fair,” complains FOE. 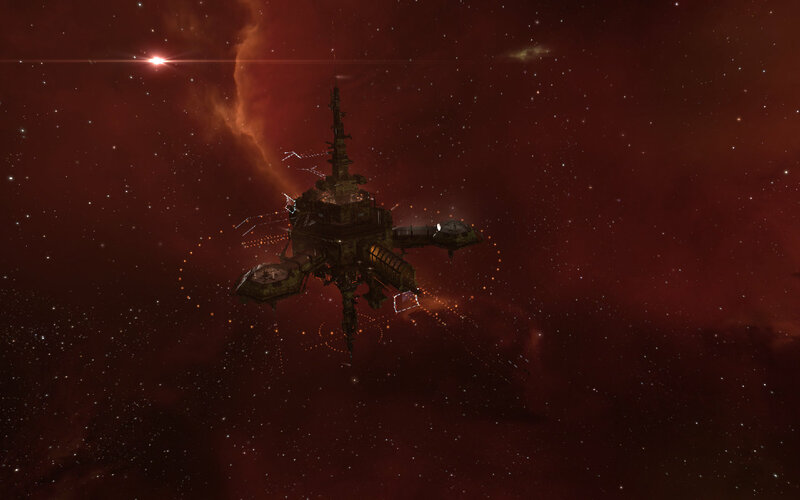 “You’re contrasting my free to play with EVE’s long term subscription play,” explains FOE. “Alphas top out?” asks FOE hopefully. “So you’re calling this last compare and contrast a draw,” says FOE with disappointment. “She’ll probably just murder me,” says FOE pointing at the woman waving cheerily outside the cottage window. “Yeah, she does that,” I say.